Aerts HJWL, Velazquez ERios, Leijenaar RTH, et al. Decoding tumour phenotype by noninvasive imaging using a quantitative radiomics approach. Nat Commun. 2014;5:4006. doi:10.1038/ncomms5006. Carvalho S, Troost EGC, Bons J, Menheere P, Lambin P, Oberije C. Data from: Prognostic value of blood-biomarkers related to hypoxia, inflammation, immune response and tumour load in non-small cell lung cancer – a survival model with external validation. 2016. doi:10.17195/candat.2016.04.1. Carvalho S, Leijenaar RTH, Velazquez ERios, et al. Prognostic value of metabolic metrics extracted from baseline positron emission tomography images in non-small cell lung cancer. Acta Oncol. 2013;52(7):1398-404. doi:10.3109/0284186X.2013.812795. Cheng Q, Roelofs E, Ramaekers B, et al. Data from: Development and Evaluation of an Online Three-Level Proton vs Photon Decision Support Prototype for Head and Neck Cancer - Comparison of Dose, Toxicity and Cost-Effectiveness. 2015. doi:10.17195/candat.2015.10.5. Eekers D, Roelofs E, Jelen U, et al. Data from: Benefit of particle therapy in re-irradiation of head and neck patients. Results of a multicenter in silico ROCOCO trial. 2016. doi:10.17195/candat.2016.04.2. Eekers D, Roelofs E, Cubillos-Mesias M, et al. Data from: Intensity-modulated proton therapy decreases dose to organs at risk in low-grade glioma patients: results of a multicentric in silico ROCOCO trial. 2018. doi:10.17195/candat.2018.05.1. Eekers DBP, Ven Lin 't, Deprez S, et al. The posterior cerebellum, a new organ at risk?. Clinical and Translational Radiation Oncology. 2018;8:22 - 26. doi:10.1016/j.ctro.2017.11.010. Even AJG, van der Stoep J, Zegers CML, et al. PET-based dose painting in non-small cell lung cancer: Comparing uniform dose escalation with boosting hypoxic and metabolically active sub-volumes. Radiother Oncol. 2015;116(2):281-6. doi:10.1016/j.radonc.2015.07.013. Even A, Hamming-Vrieze O, van Elmpt W, et al. Data from: Quantitative assessment of Zirconium-89 labeled cetuximab using PETCT imaging in patients with advanced head and neck cancer - a theragnostic approach. 2016. doi:10.17195/candat.2016.11.1. Jochems A, Deist TM, Naqa IEl, et al. Data from: Developing and validating a survival prediction model for NSCLC patients through distributed learning across three countries. 2017. doi:10.17195/candat.2017.02.2. Lambin P. Radiomics Digital Phantom. 2016. doi:10.17195/candat.2016.08.1. Larue RTHM, Van De Voorde L, van Timmeren JE, et al. Data from: 4DCT imaging to assess radiomics feature stability: an investigation for thoracic cancers. 2017. doi:10.17195/candat.2017.05.1. Nalbantov G, Kietselaer B, Vandecasteele K, et al. Cardiac comorbidity is an independent risk factor for radiation-induced lung toxicity in lung cancer patients. Radiotherapy and Oncology. 2013;109(1):100 - 106. doi:10.1016/j.radonc.2013.08.035. Oberije C, De Ruysscher D, Houben R, et al. A Validated Prediction Model for Overall Survival From Stage III Non-Small Cell Lung Cancer: Toward Survival Prediction for Individual Patients. Int J Radiat Oncol Biol Phys. 2015;92(4):935-44. doi:10.1016/j.ijrobp.2015.02.048. Roelofs E, Dekker A, Meldolesi E, van Stiphout RGPM, Valentini V, Lambin P. International data-sharing for radiotherapy research: an open-source based infrastructure for multicentric clinical data mining. Radiother Oncol. 2014;110(2):370-4. doi:10.1016/j.radonc.2013.11.001. Roelofs E, Persoon L, Nijsten S, Wiessler W, Dekker A, Lambin P. Benefits of a clinical data warehouse with data mining tools to collect data for a radiotherapy trial. Radiotherapy and Oncology. 2013;108(1):174 - 179. doi:10.1016/j.radonc.2012.09.019. Starmans MHW, Chu KC, Haider S, et al. The prognostic value of temporal in vitro and in vivo derived hypoxia gene-expression signatures in breast cancer. Radiotherapy and Oncology. 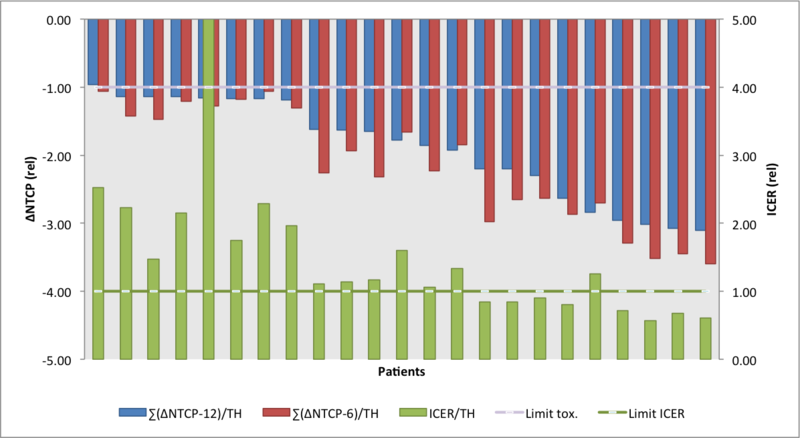 2012;102(3):436 - 443. doi:10.1016/j.radonc.2012.02.002. van Timmeren J, Leijenaar RTH, van Elmpt W, et al. Data from: Survival prediction of non-small cell lung cancer patients using radiomics analyses of cone-beam CT images. 2017. doi:10.17195/candat.2017.02.1. Velazquez ERios, Aerts HJWL, Gu Y, et al. A semiautomatic CT-based ensemble segmentation of lung tumors: comparison with oncologists' delineations and with the surgical specimen. Radiother Oncol. 2012;105(2):167-73. doi:10.1016/j.radonc.2012.09.023.